The Supreme Court is to finally resolve the Rivers State All Progressives Congress (APC) primaries logjam tomorrow as it delivers its judgement on an appeal brought before it by parties in the protracted conflict, THISADY learnt last night. The judgement, which had been reserved indefinitely on Monday, apparently because of the impending arraignment of the Chief Justice of Nigeria (CJN), Justice Walter Onnoghen, by the Code of Conduct Bureau (CCB) for alleged non-declaration of assets, would be delivered against the background, of what legal analysts described as concealed intimidation of the judiciary by the APC-led federal government. Analysts that spoke to THISDAY last night were emphatic that there was a nexus between the Rivers State appeal case and Onnoghen’s travails, pointing out that statute and case law were very clear about the effect of admission of error in assets declaration, contending that once infraction is accepted by a public officer, recourse to the Code of Conduct Tribunal (CCT) would become spent. They argued that it was on the basis of this section that the National Leader of the APC, Senator Bola Tinubu, was freed by the CCT when the Goodluck Jonathan administration brought similar charges against him in 2011. Incidentally, they said, the lead counsel to Onnoghen, Chief Wole Olanipekun, was also Tinubu’s lawyer, and that Vice President Yemi Osinbajo was part of the legal team. Coincidentally, they reminisced, the current CCT Chairman, Mr. Danladi Umar, was also the judge that delivered the ruling that saved Tinubu. “Why are they now harassing the CJN?” the analyst asked. THISDAY gathered last night that Onnoghen’s travail was meant to intimidate the apex court to give judgement in favour of the ruling APC in the Rivers’ case, alleging that a former governor in the South-south and a serving governor in the North-west, are the coordinators of the push against him. 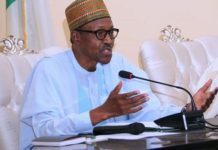 They were said to have told President Muhammadu Buhari that they had Onnoghen on tape, saying the APC would lose the case, pointing out that their main evidence of the CJN bias was the consistent loss of the party at all levels, starting from the high court, through the appeal court and now the apex court. “It is in order to avert the final loss at the apex court that they are doing this. This is more so as they had suffered an earlier loss at the apex court,” a legal expert close to the intrigues, told THISDAY. The Supreme Court had on Monday reserved ruling on the competence of the appeal filed by the Minister of Transportation, Mr. Rotimi Amaechi, faction of the Rivers State Chapter of the APC. The five man panel led by Justice Mohammed Datijo, fixed ruling on a date to be communicated to parties after listening to the submissions of counsel in the matter. 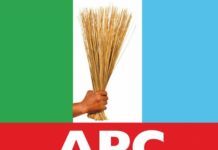 The Supreme Court had last December adjourned till March 8, 2019 to determine the legality or otherwise of primary elections the APC conducted in Rivers State for the purpose of nominating its candidates for the 2019 polls. The appeal marked SC/1070/2018, was lodged before the court by 22 chieftains of the party led by one Abdullahi Umar. 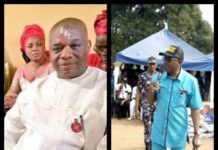 The appellants, through their lawyer, Mr. Henry Bello, urged the Supreme Court to re-affirm the ruling it delivered on October 22, and nullify outcomes of the primary election that produced Mr. Dele Cole and other candidates in the faction of the party that is loyal to Amaechi. 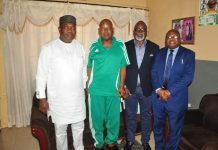 The appellants equally urged the apex court to dismiss a pending appeal marked CA/PH/198/2015, which the said faction lodged before the Port Harcourt Division of the Court of Appeal. But, the apex court reconvened on Monday, about two months earlier than the planned date for delivery of its judgment in the suit. The sitting yesterday was sequel to an application by the appellants requesting the Supreme Court to fast track the judgment in line with the provisions of the 4th Alteration of the 1999 Constitution as amended, which stipulates a 60-day time frame for the matter. He, therefore, prayed the court for leave to address it orally on the need for the apex court to deliver a judgment striking out the appeal, adding that the appellants’ motion of December 17, 2018, have been overtaken by the expiration of time. However, Justice Datijjo noted that outside the appellants’ motion, there is also the need for counsel to address the apex court on the competence of the appeal, adding that the Supreme Court will not be competent in the first place to sit on an appeal that arises from an incompetent appeal at the Court of Appeal. Responding, Bello drew the panel’s attention to paragraph 4 of the Appeal Court’s record, wherein he submitted that the respondents did not opposed motion of the applicants, consented and urged the court to grant the relieves sought by the applicants. “The order of the trial court is a consent order and specie of consent judgment,” he said. He, therefore, submitted that the appeal against the judgment of the trial court was not competent, and urged the apex court to so hold and strike out the appeal for being manifestly and grossly incompetent. Respondents counsel, Mr. Lateef Fagbemi, SAN, however, drew the court’s attention to the fact that there are two different appeals; the first, on the interlocutory injunction and the other after the judgment in the substantive suit. He said the appeal after the substantive suit has been struck out by the Court of Appeal on the grounds that it was an appeal against a consent judgment. He said the appeal before the court is not a consent judgment, as the dispute over representation was not resolved by the lower court. 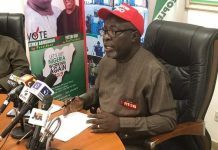 He further submitted that the matter before the apex court is not a pre-election matter as what is being challenged is the election of officers to the wards, local government and state congresses of the APC. After taken submissions from counsel in the matter, Justice Datijjo announced that ruling on the competence of the appeal has been reserved to a date that would be communicated to parties. It would be recalled that the apex court had on October 22, nullified an interim order of the Court of Appeal in Port Harcourt, which gave APC the nod to conduct its ward, local government and state congresses in Rivers State. In a ruling that was delivered by Justice Centus Nweze, the Supreme Court, faulted the appellate court for halting the execution of a Rivers State High Court order that barred APC from going ahead with its planned congress, pending the determination of a suit that was entered by Umar and the 22 others. It noted that the high court had on the basis of the said suit, issued injunctive reliefs that expressly forbade the APC from conducting congress in the state. According to the Supreme Court, Justice Chiwendu Nwogu of the High Court gave the interim order of injunction on May 11, the same day that some hoodlums loyal to a faction of the party besieged the high court premises in Port Harcourt. 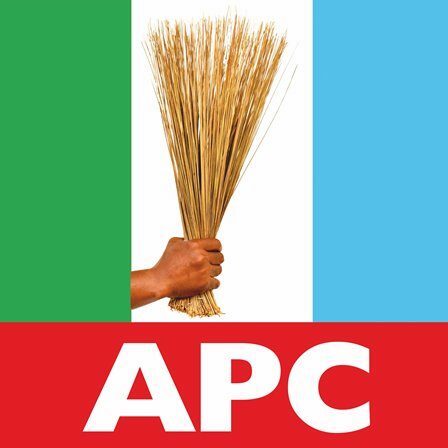 It observed that despite the attack and the restraining order from the high court, which was further reaffirmed on May 13, the APC, which was a respondent in the matter, went ahead and conducted its ward, local government and state congresses on May 19, 20 and 21. The apex court said it was baffled that the APC, “in the most impudent manner,” ran to the Court of Appeal to apply for stay of proceeding and execution of the high court order with respect to the suit marked PHC/78/2018. It further observed that though the appellate court declined to stay proceedings of the high court, it, however, stayed the execution of the May 11 order by Justice Nwogu. 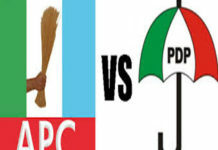 Dissatisfied with the decision, Umar and his group dragged APC to court over their alleged exclusion from the primaries, filed an appeal at the Supreme Court. They argued that the appellate court engaged in judicial rascality by refusing to abide by Supreme Court decisions on the issue of stay of execution of valid court orders. While acceding to the appellants’ prayer, the Supreme Court held that the appellate court should not have vacated the injunctive order the Rivers State High Court issued against the APC on the conduct of its congresses. Justice Nweze held that the action of the appellate court amounted to “sacrilegious exercise of judicial discretion,” saying it committed “gross insubordination,” by refusing to abide by precedents already set by the Supreme Court. He said the appellate court was wrong when it judicially indulged the APC, even in the face of abundant evidence that the Party was in contempt of subsisting court orders. Justice Nweze said, “It is a very serious matter for anyone to flout a positive order of a court and still approach the court for remedy.